Digital music is a wondrous thing, and anybody who had to contend with a cassette tape player of any description will agree that nowadays, things are a lot easier. 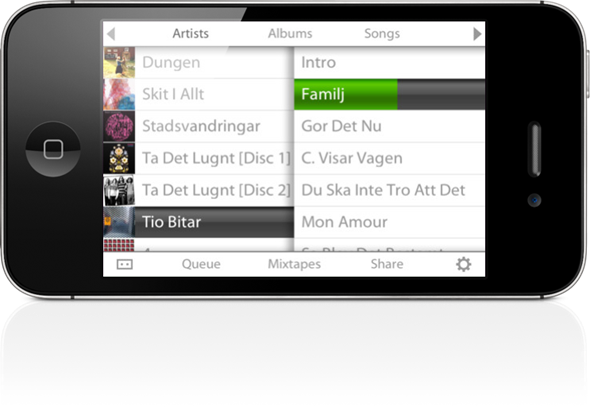 One can quickly browse through thousands of music from various artists, skipping to a specific part of a song if need be, and all this on a smartphone intended primarily to make calls and send messages. In this Digital Age, if you walked around with an old cassette tape player attached to you waist, people would think you were either slightly mad, or caught in some kind of a time lapse – waiting for somebody to welcome you into the twenty-first century. 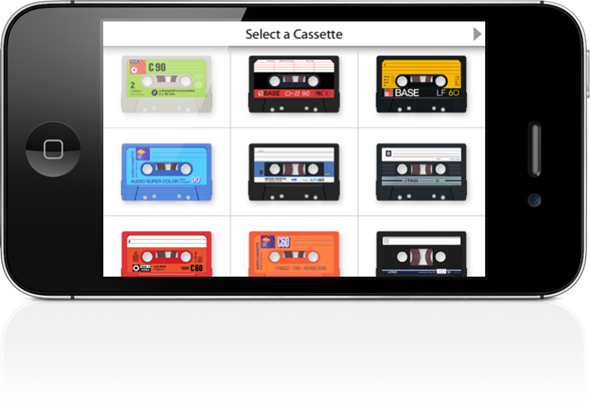 If you also somewhat miss the cassette tape days and would like a reminder of those days you used to really rock out, then AirCassette might be the perfect app for you. As the name suggests, it will run a spinning tape as your song plays, with the artist and album drawn onto it as if it has been drawn on with a pen. 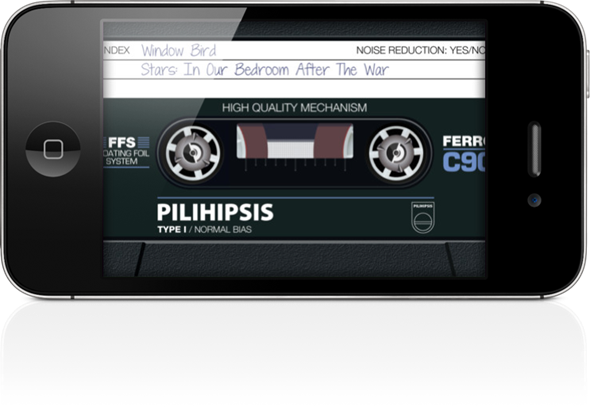 There are a slew of different tape designs to choose from, and from the rather beautiful interface, you can also add your very own playlists from iTunes, easily replicating those old mix tapes you used to enjoy so much. 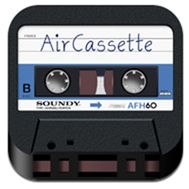 If you’re a social networking music fan, you can also scrobble your songs to Last.Fm, and finally, AirCassette completes itself by offering an option to override your Auto-lock, so you can appreciate that rolling cassette tape for the duration of your playlist. I, like many users of the Sony Walkman or similar portable music players, certainly don’t miss the rigmarole of trying to skip a song or two, and what is now a swipe or tap used to be quite a bit of trial and error. Moreover, as an audiophile, I certainly don’t miss the often crackly, analog output those devices used to emit, and may long the digital revolution continue. That said, I’m not thick-skinned enough to look back on those times with anything other than fondness for technology which allowed me to carry my custom tunes around and listen to them whenever I wanted. Prior to the cassette tape, listening to music personally was pretty much out of the question, and the sight of that tape rolling through some of the classics of the time certainly brought a feeling of magic. It costs $0.99 over at the App Store, and comes highly recommended. Download it from the link provided below.